Is Telefonica Brasil SA (NYSE:VIV) a good stock to buy right now? We at Insider Monkey like to examine what billionaires and hedge funds think of a company before doing days of research on it. Given their 2 and 20 payment structure, hedge funds have more incentives and resources than the average investor. The funds have access to expert networks and get tips from industry insiders. They also have numerous Ivy League graduates and MBAs. Like everyone else, hedge funds perform miserably at times, but their consensus picks have historically outperformed the market after risk adjustments. Is Telefonica Brasil SA (NYSE:VIV) worth your attention right now? Hedge funds are in a bearish mood. The number of bullish hedge fund bets retreated by 1 in recent months. 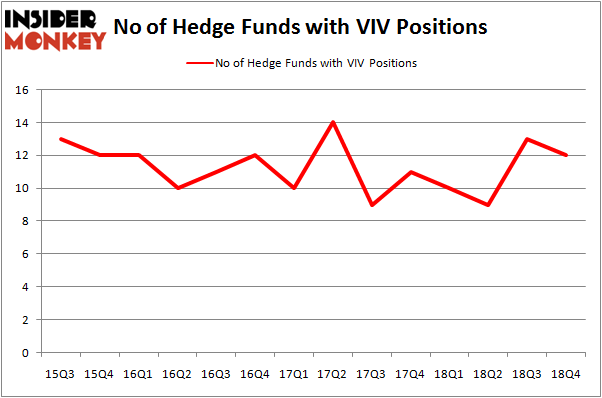 Our calculations also showed that VIV isn’t among the 30 most popular stocks among hedge funds. In the 21st century investor’s toolkit there are numerous gauges investors have at their disposal to appraise stocks. A duo of the most innovative gauges are hedge fund and insider trading activity. Our experts have shown that, historically, those who follow the best picks of the best hedge fund managers can beat the market by a significant amount (see the details here). 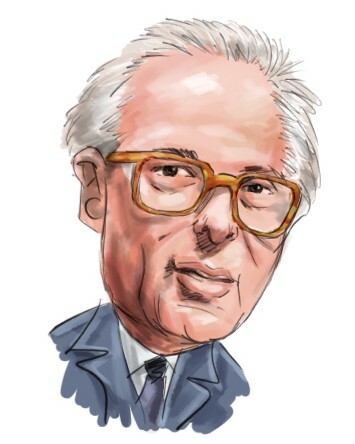 Let’s take a peek at the key hedge fund action surrounding Telefonica Brasil SA (NYSE:VIV). At Q4’s end, a total of 12 of the hedge funds tracked by Insider Monkey were long this stock, a change of -8% from the previous quarter. Below, you can check out the change in hedge fund sentiment towards VIV over the last 14 quarters. With hedge funds’ capital changing hands, there exists a select group of key hedge fund managers who were boosting their holdings substantially (or already accumulated large positions). More specifically, Pzena Investment Management was the largest shareholder of Telefonica Brasil SA (NYSE:VIV), with a stake worth $69.3 million reported as of the end of September. Trailing Pzena Investment Management was Moerus Capital Management, which amassed a stake valued at $40.1 million. Renaissance Technologies, Arrowstreet Capital, and Millennium Management were also very fond of the stock, giving the stock large weights in their portfolios. Judging by the fact that Telefonica Brasil SA (NYSE:VIV) has experienced declining sentiment from hedge fund managers, we can see that there was a specific group of hedgies that slashed their positions entirely last quarter. Interestingly, Matthew Tewksbury’s Stevens Capital Management sold off the biggest investment of the “upper crust” of funds monitored by Insider Monkey, totaling close to $0.5 million in stock, and Matthew Hulsizer’s PEAK6 Capital Management was right behind this move, as the fund sold off about $0.4 million worth. These moves are interesting, as total hedge fund interest fell by 1 funds last quarter. Let’s go over hedge fund activity in other stocks – not necessarily in the same industry as Telefonica Brasil SA (NYSE:VIV) but similarly valued. We will take a look at M&T Bank Corporation (NYSE:MTB), DTE Energy Company (NYSE:DTE), Sun Life Financial Inc. (NYSE:SLF), and PACCAR Inc (NASDAQ:PCAR). All of these stocks’ market caps resemble VIV’s market cap. As you can see these stocks had an average of 23.5 hedge funds with bullish positions and the average amount invested in these stocks was $574 million. That figure was $151 million in VIV’s case. M&T Bank Corporation (NYSE:MTB) is the most popular stock in this table. On the other hand Sun Life Financial Inc. (NYSE:SLF) is the least popular one with only 10 bullish hedge fund positions. Telefonica Brasil SA (NYSE:VIV) is not the least popular stock in this group but hedge fund interest is still below average. This is a slightly negative signal and we’d rather spend our time researching stocks that hedge funds are piling on. Our calculations showed that top 15 most popular stocks among hedge funds returned 19.7% through March 15th and outperformed the S&P 500 ETF (SPY) by 6.6 percentage points. Unfortunately VIV wasn’t in this group. Hedge funds that bet on VIV were disappointed as the stock returned 5.2% and underperformed the market. If you are interested in investing in large cap stocks, you should check out the top 15 hedge fund stocks as 13 of these outperformed the market.